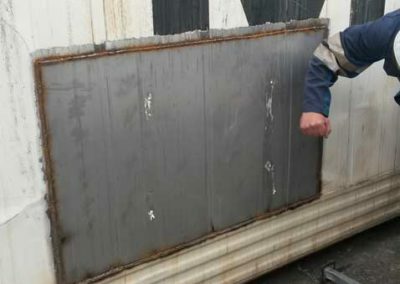 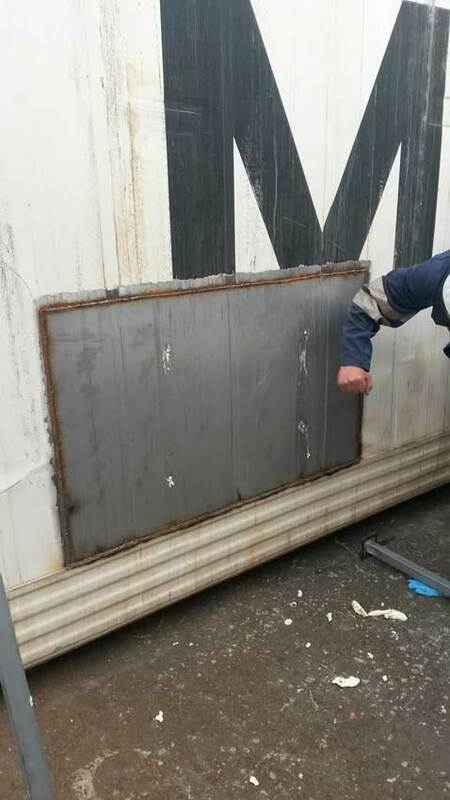 Refrigerated containers need to be repaired often due to the damage they suffer during their transit. 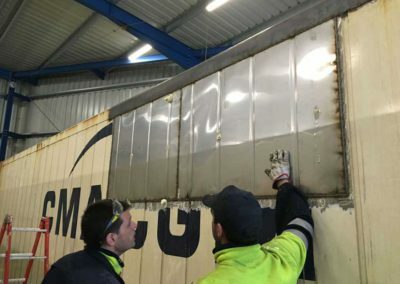 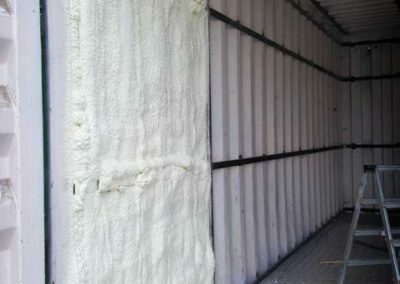 Once the damaged piece of the container has been structurally repaired, the polyurethane foam is injected and the container is once again available for transport. 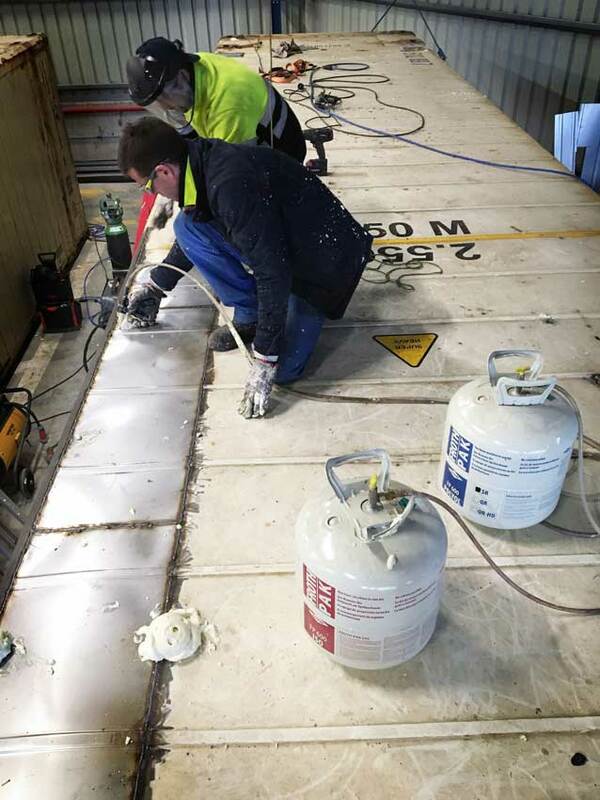 The portable refillable PU foam kits in cylinders are ideally suited for small to medium repairs. 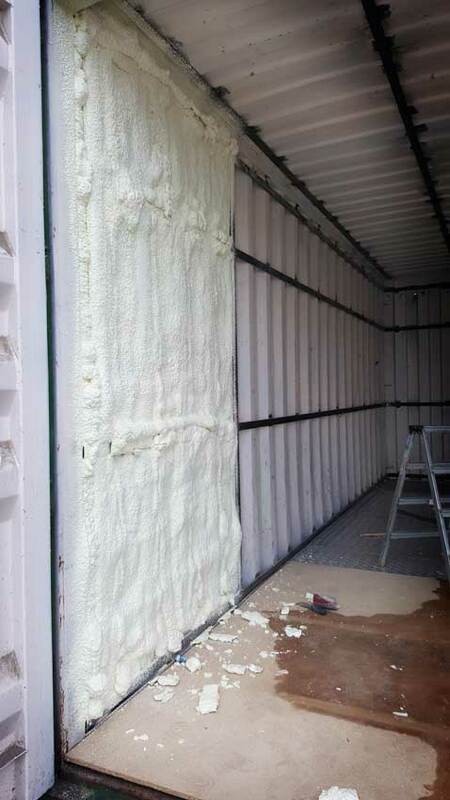 Via injection points it is possible to spray insulation foam into the double wall cavity, leading to the creation of a seamless, watertight and condensation-free insulation. Fomicom foams also helps to contribute to the general structural reinforcement of the container. 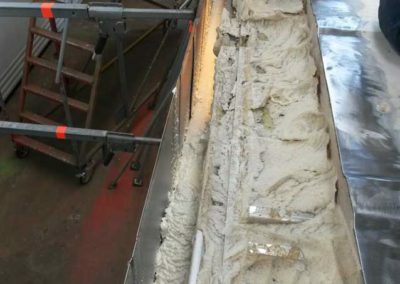 FLOW-FOAM: The FLOW-FOAM pour in place foam can be injected in closed molds. 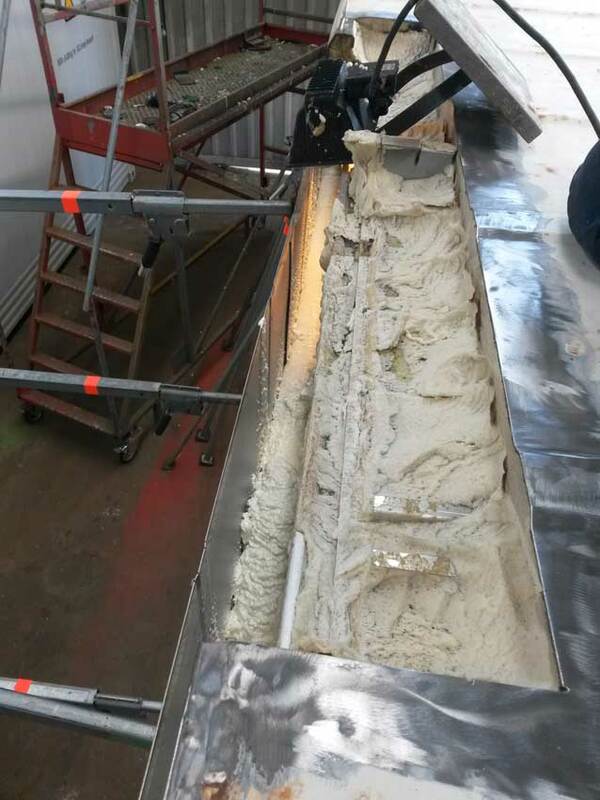 The injected liquid starts rising after some minutes and perfectly fills the space. 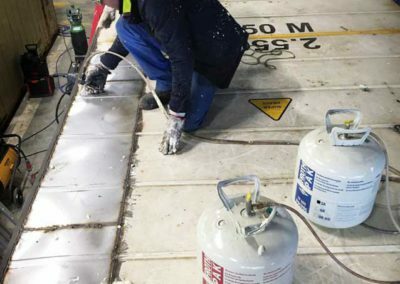 FAST-PUR: Same properties as FROTH-PAK, for non-EU customers.